Technoholic Pte Ltd, the parent company of Chate Sat Freelancing Platform, today announced that it has secured 6-digit funding in Pre-Series A Financing from angel investors in Singapore. Led by Willy Ballmann and Keizo Fujitake, the move drives the valuation of Technoholic 6 times higher than 2 years ago when the company was first funded. 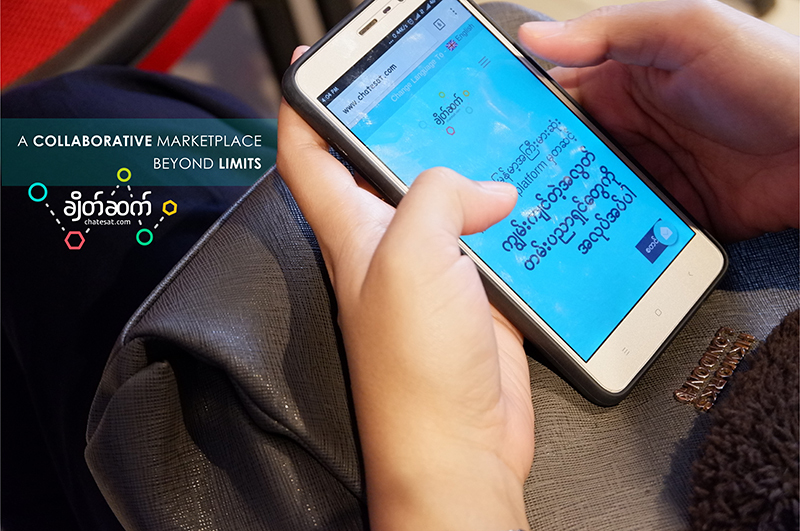 Founded by two tech girls, Honey and Shwe Yee Mya Win, Chate Sat has been disruptively transforming the freelance marketplace of Myanmar since 2016. Chate Sat is the leading online freelance platform in Myanmar, connecting businesses and competent freelance professionals from various fields, such as web and mobile developers, designers, digital marketers, content writers, animators, photographers, promoters, etc. The company has expanded its client base not only in Myanmar but also into Thailand, Malaysia, Singapore, and Western countries, acquiring over 14,000 freelancers to fulfill the needs of businesses and startups alike. Willy Ballmann said “I believe investing in Chate Sat presents a great opportunity to boost Myanmar’s tech startup ecosystem. Chate Sat’s current market leading position firmly establishes the company to be the future centre and hub for Myanmar’s gig economy.” He is a former Portfolio Manager at the Government of Singapore Investment Corporation (GIC) and a former Managing Partner & COO at Dymon Asia Capital, currently working as a private investor. Keizo Fujitake is an ex-investment banker. With this additional 6-digit funding, Chate Sat is ready to achieve its next milestone of becoming the top freelance platform in Mekong countries (Myanmar, Cambodia, Laos, Vietnam) and lead the company to a new stage of growth. The funds from this Pre-Series A will be further used to increase internal resources and accelerate talent recruitment to support the progressive growth of the Chate Sat community and to secure its competitive position in the freelance market. Being an alumni from Phandeeyar Accelerator Cohort 1, Chate Sat launched their product www.chatesat.com on the first day of cohort 1 in September 2016. After an intense six-month program, Chate Sat secured seed funding from Seed Myanmar (previously VIMIC), Theta Capital and a Myanmar-based angel investor in July 2017. Jes Kaliebe Petersen, CEO of Phandeeyar, which was Chate Sat’s first investor, said “I am very impressed with Chate Sat’s growth since their launch in 2016. They are one of the most exciting new tech companies in Myanmar at the moment, and the latest round of funding they have now received is a testament to their strong performance, and their determination to succeed.” The company is expected to close the round within this year.